For the exploitation of gas fields in the desert of Saudi Arabia, the energy company Saudi Aramco’s relies on Venturi tubes of Euromisure. 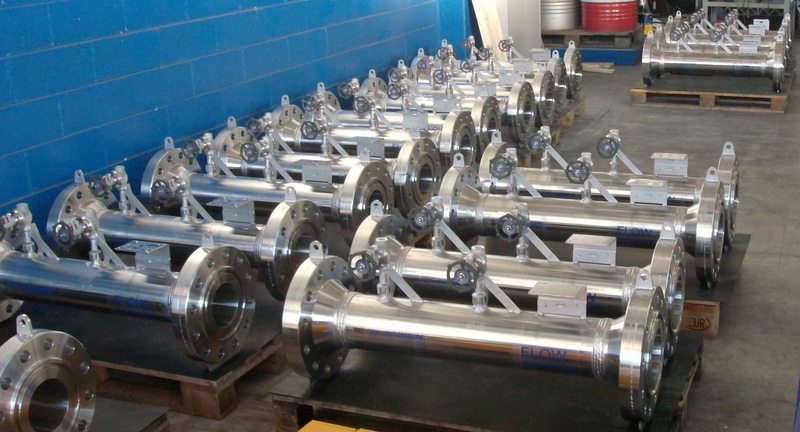 The Italian flow measurement specialist, a part of the WIKA Group, will deliver another 160 of these devices to their client until October this year. The total value of this order is 1.5 million euros. The majority of gas is exploited from the vast Khuff gas reservoirs in the desert areas of Saudi Arabia. The so-called “Khuff” are rock formations containing huge amounts of gas and hydrocarbon accumulations and are considered to be one of the major energy sources in the future and at the moment the main source for domestic energy within the Kingdom of Saudi Arabia. One major breakthrough project within Saudi Aramco to achieve their 2020 goal is to standardise the components used on their well exploitation skid, normally consisting of the wellhead, the wellhead control panel, the chemical injection skid, the programmable logic controller as well as the flow line in which the gas is being transported. Amongst other WIKA equipment used on this skid, a calibrated Venturi tube in combination with a differential pressure transmitter plays the vital part of measuring and monitoring the flow of gas through the pipeline from the well to the gathering centre. Technical excellence in designing as well as outstanding quality in producing extremely reliable engineered solutions makes Euromisure a preferred supplier of Saudi Aramco for this type of device. A preference and trust that was confirmed at the beginning of December 2014 when Aramco placed their latest order for 160 Venturis via WIKA Benelux with Euromisure, making it the third consecutive year that Euromisure has been awarded this annual stock replenishment contract. When finally the last batch of Venturis for this order will have been manufactured and inspected in October 2015, an impressive 44 tons of super austenitic stainless steel will have been shipped to Saudi Arabia waiting to be installed in the remote deserts, increasing the total number of wells equipped with Venturis made by Euromisure to more than 500 installations – with zero failures thus far. … is aiming to be the world’s leading integrated energy and chemical company in 2020. Reading this statement in combination with Saudi Aramco’s 2013 annual production capacity of 3.4 billion barrels of crude oil, 4 trillion standard cubic feet of gas as well as 456 million barrels of natural gas liquid products clearly show the importance of Aramco for the WIKA Group. … is a differential pressure flow measuring instrument, named after its inventor, the Italian physicist Giovanni Battista Venturi (1746-1822). 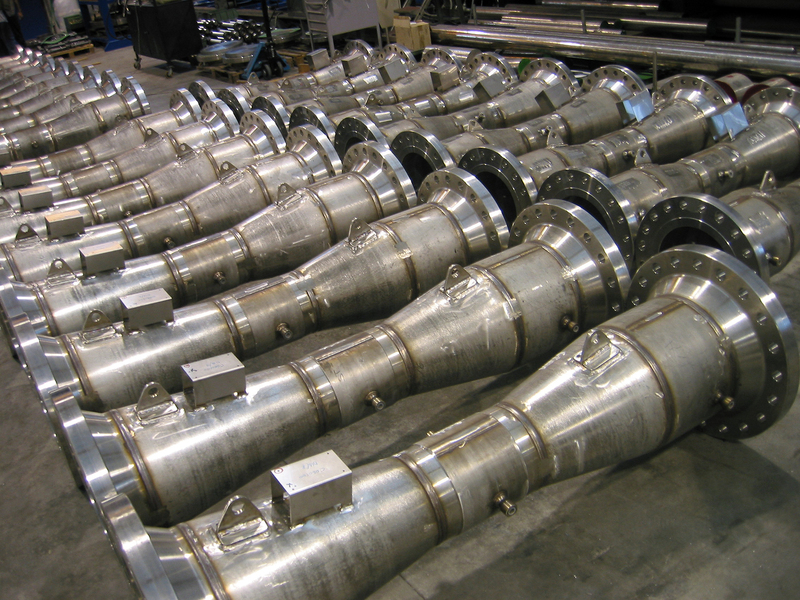 It consists of a gradually decreasing nozzle, through which the medium in a pipe is accelerated, followed by a gradually increasing diffuser section. The diffuser section allows the medium to regain almost all of its original pressure. Therefore, the Venturi tube is especially suitable for measuring the flow velocity in systems with minimal pressure drop.